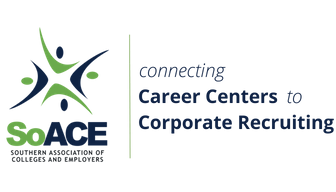 This service provides an online listing of available career services and recruiting/human resources positions. May 17 Executive Director of Career Development Gustavus Adolphus College Apply Here! May 10 Senior Assistant Director, Career & Industry Advising Virginia Commonwealth University Apply Here! May 10 Career Consultant University of Tennessee Apply Here! May 5 Career Advisor (2 positions available) Virginia Commonwealth University Apply Here! April 28 Employer & Experiential Development Coordinator Virginia Commonwealth University Apply Here! April 26 Career Counselor Auburn University Apply Here! Job posting fees now $100/month for members and $110/month for non-members. Payment is accepted by credit card or check. Invoice request is also available. Questions? Contact the SoACE Office or LaTasha Saunders with the SoACE Job Board Committee.